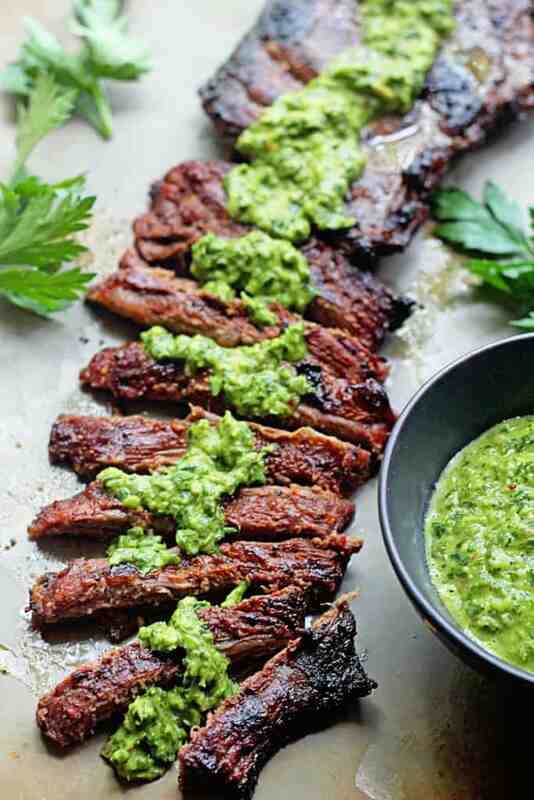 I told myself I would never put any skirt steak recipes with chimichurri on the blog because we know how overdone it has been. However, after I made mine, I said I couldn’t deprive you of this recipe. I would never be able to forgive myself ha! As we come towards the end of summer, I went back and forth and decided to just share this gem before the warm weather left for good. The flavor is unreal. Because of the texture of skirt steak (I love to use it here in my carne asada as well), I wanted to make sure I added a flank steak marinade recipe that would really infuse a ton of flavor and also help to tenderize the meat. The texture is very different than this cube steak or ribeye steak. Ingredients like lime juice and soy sauce add acid to really break down the toughness of the steak, and it couldn’t taste better if you ask me. That citrus essence gets right down in each and every bite. If you have the time, really marinade this overnight. You won’t regret it. You could also use a flank steak for this recipe as well. You will get great results either way. This steak is absolutely sensational on its own. Like seriously, I kept snacking on it all night. However once you add my chimichurri recipe sauce, it takes this recipe to a whole nother level y’all. This chimichurri is so fresh with clean flavors. Cilantro and parsley are already so fresh but when added with fresh lime juice, the essence is just so wonderful. It is a lovely accent to this dish. 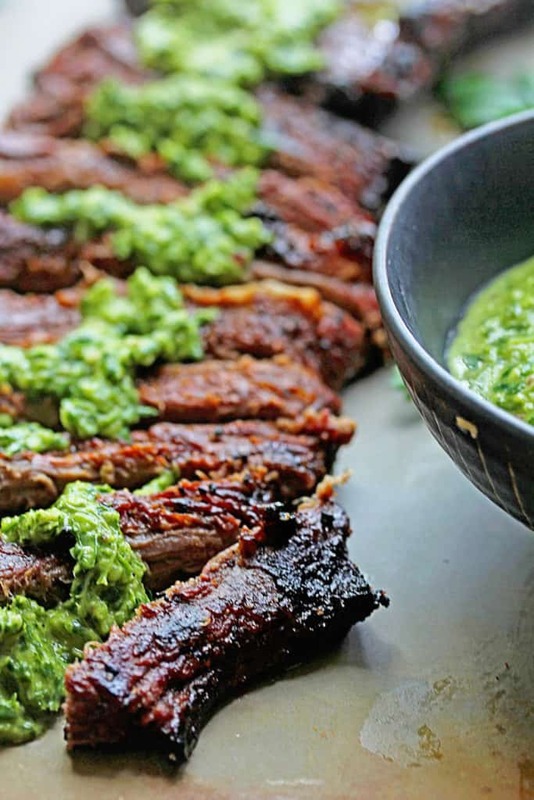 You can whip this chimichurri recipe up in your heavy duty blender or food processor. The flavors just come together so perfectly with the steak. I have made this recipe twice in the last couple of weeks, and I can’t get enough. I know you won’t either. And finally get this Grilled Catfish recipe on the grill immediately. 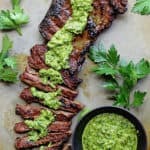 Skirt Steak Marinade Recipe with Chimichurri – No summer grill is complete without my skirt or flank steak marinade! Easy, Absolutely delicious and beyond flavorful!